Atlantic Theater Company (Neil Pepe, Artistic Director; Jeffory Lawson, Managing Director) is presenting the world premiere of Pulitzer Prize® finalist Rajiv Joseph’s play Guards at the Taj, starring Tony Award® nominees Omar Metwally and Arian Moayed, and directed by Tony Award® nominated actor and director Amy Morton. 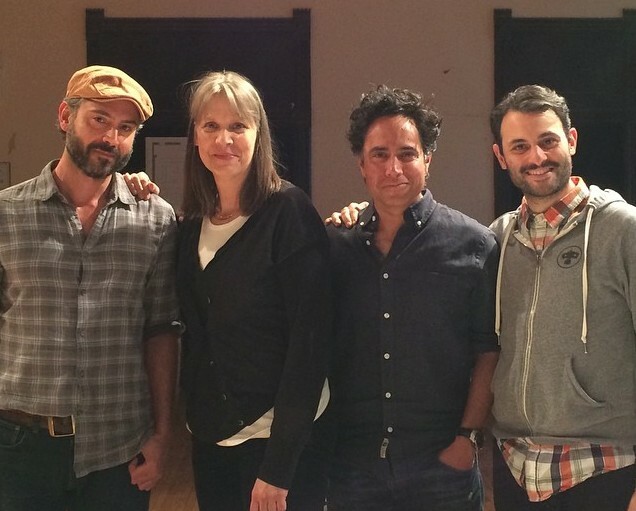 Guards at the Taj is currently in rehearsals and will begin previews Wednesday, May 20. 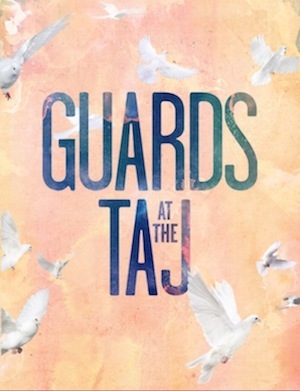 Guards at the Taj will open on Thursday, June 11 and play a limited engagement through Sunday, June 28 Off Broadway at Atlantic Theater Company at The Linda Gross Theater (336 West 20th Street). Click here to purchase tickets. In 1648 India, two Imperial Guards watch from their post as the sun rises for the first time on the newly-completed Taj Mahal – an event that shakes their respective worlds. When they are ordered to perform an unthinkable task, the aftermath forces them to question the concept of friendship, beauty and duty, and changes them forever. Steppenwolf Theatre Company member Amy Morton’s directing credits include The Way West, Penelope, Clybourne Park, American Buffalo, Glengarry Glen Ross, The Pillowman, Dublin Carol and Topdog/Underdog for the company. She received Tony® and Drama Desk award nominations for both her acclaimed performances in the most recent revival of Who’s Afraid of Virginia Woolf? and August: Osage County on Broadway in addition to appearing in over thirty Steppenwolf Theatre Company productions. 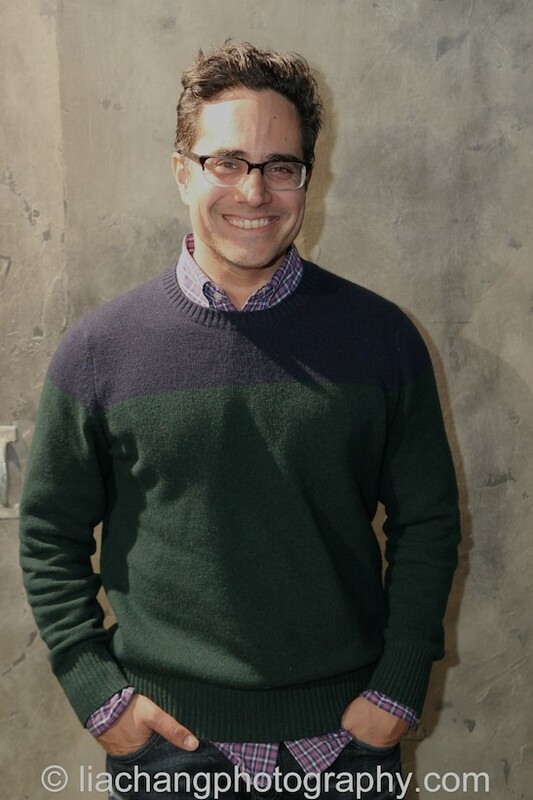 Rajiv Joseph‘s play Bengal Tiger at the Baghdad Zoo was a finalist for the Pulitzer Prize® and received a Drama Desk award nomination for Outstanding Play. His other plays include Gruesome Playground Injuries, Animals Out of Paper, The North Pool, The Lake Effect and Mr. Wolf. He is the librettist and co-lyricist for the musical, Fly. Joseph also wrote for the Showtime series “Nurse Jackie” for its third and fourth seasons and was the co- screenwriter of the film Draft Day, which was released last year, starring Kevin Costner and Jennifer Garner. Joseph received his B.A. in Creative Writing from Miami University and his M.F.A. in Playwriting from NYU’s Tisch School of the Arts. He served for three years in the Peace Corps in Senegal, West Africa. Joseph was named a 2010 Rockefeller Fellow by United States Artists. 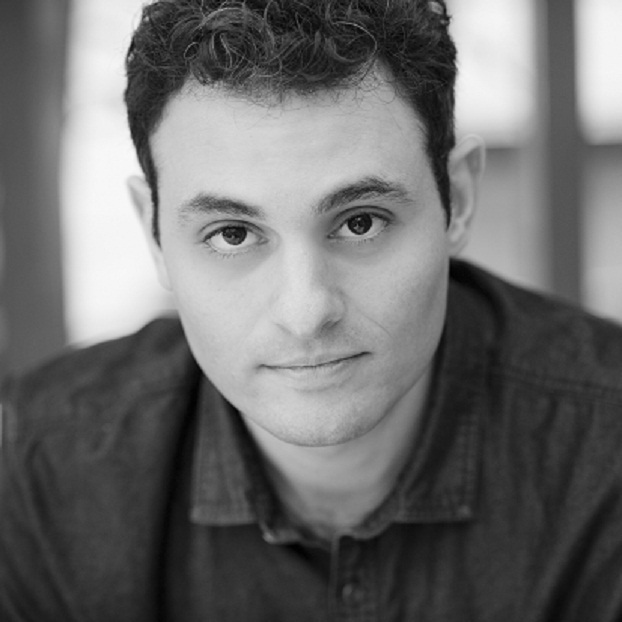 He is the recipient of the Lucille Lortel Award, the Whiting Award, the Glickman Award, the 2013 Equity Jeff Award for The Lake Effect, produced by Silk Road Rising in Chicago and the prestigious 2013 Steinberg Playwright Award from the Harold and Mimi Steinberg Charitable Trust. Joseph just returned from Morocco and the set of Army of One, a new film he co-wrote with Scott Rothman, loosely based on a GQ article by Chris Heath about Gary Faulkner, an ex-con who made 11 attempts to travel to the most volatile region of Pakistan to capture Osama bin Laden, armed with only a sword. Directed by Larry Charles (“Borat”), Army of One stars Nicholas Cage, Russell Brand, Denis O’Hare, Ken Marino, Paul Scheer, Wendi McLendon-Covey and Rainn Wilson. Click here to read the full article. 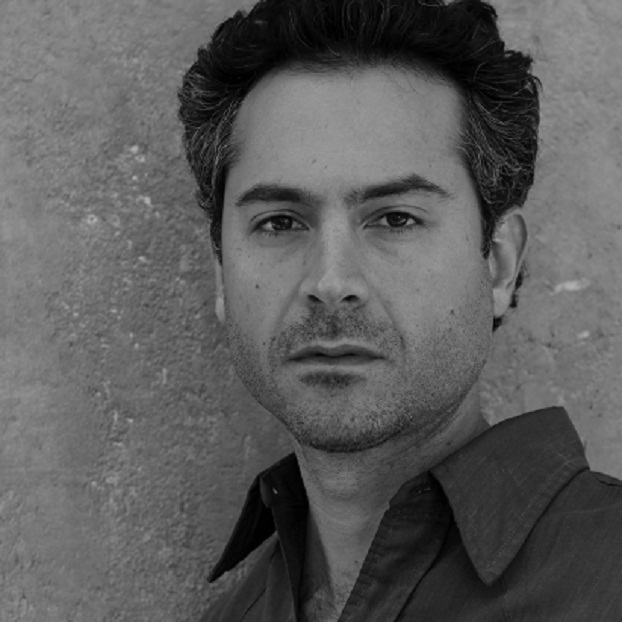 Omar Metwally (Humayun) is an actor and director who works on film, stage and television. He appeared on Broadway in Sixteen Wounded, receiving a Tony Award® nomination for Best Performance by a Featured Actor in a Play. Off-Broadway and regional credits include American Hero (Williamstown Theater Festival), As You Like It (Delacorte Theater/The Public), The Fever Chart(Public Theater), Beast on the Moon (Century Center for the Performing Arts),Homebody/Kabul (Steppenwolf Theatre Company), Creditors (La Jolla Playhouse), Sixteen Wounded (Long Wharf Theater), as well as work with the American Conservatory Theater, Berkeley Rep, Trinity Rep, The Magic Theater, Campo Santo, The Rude Mechanicals and others. Omar’s film work includes Steven Spielberg’s Munich, Gavin Hood’s Rendition, Non-Stop, Julian Schnabel’s Miral, The Twilight Saga: Breaking Dawn Part II and Amsterdam,among others. He was awarded the Chopard Trophy at the 2008 Cannes Film Festival for his performance in Rendition. Omar will be seen this spring in the new television series “Dig,” created by Gideon Raff. Other television credits include “The Slap,” “Virtuality,” “The Good Wife,” “Harry’s Law,” “Fringe,” “Grey’s Anatomy,” “The Unit” and others. He directed the world premiere of Sharif Abu Hamdeh’s play Habibi at Campo Santo, as well as work for the NY Arab American Comedy Festival. Omar is a graduate of UC Berkeley and received his MFA in acting from the American Conservatory Theater in San Francisco. Arian Moayed (Babur). Broadway: Bengal Tiger at the Baghdad Zoo (Tony®and Drama League nomination, Theater World Award). Notable Off-Broadway:Masked (Drama Desk nomination), King Lear (Public), Food & Fadwa (NYTW),Queens Boulevard (Signature), Homebody/Kabul (BAM, Steppenwolf), American Pilot (MTC). Notable Film/Television: Rock the Kasbah (Barry Levinson, dir.,upcoming), Rosewater, Appropriate Behavior, “Believe” (Alfonso Cuaran, dir., Series Regular), “Blacklist,” “The Following.” Waterwell: Devised over 13 original productions (upcoming A-Jax, Hamlet & Turning Texas Blue), administers the Waterwell Drama Program with Professional Performing Arts School, offering 6-12th graders theater training absolutely free of charge and with Waterwell Films, written/directed three short films including Day Ten (starring Omar Metwally, Tribeca Film Festival 2014), currently in post-production for his pilot, “The Accidental Wolf,” a thriller mini-series, starring Kelli O’Hara. www.waterwell.org. 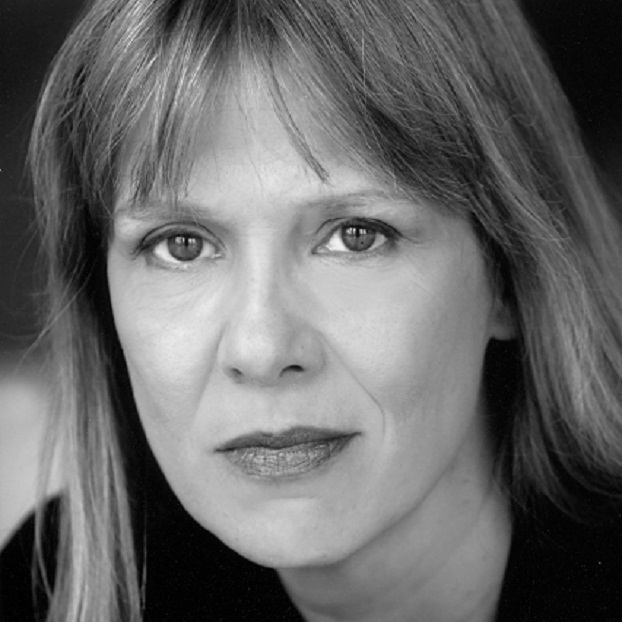 Amy Morton (Director) is an actor, director and ensemble member of Steppenwolf Theatre Company in Chicago. Directing credits at Steppenwolf include The Way West, Penelope, Clybourne Park, American Buffalo (also McCarter Theatre), Glengarry Glen Ross (also Dublin and Toronto), The Pillowman, Dublin Carol (also Trinity Rep Theatre), Topdog/Underdog (also Alley Theatre, Dallas Theater Center, Hartford Stage) and many others. Other directing credits Who’s Afraid of Virginia Woolf? at Alliance Theatre and Awake and Sing! at Northlight Theatre. 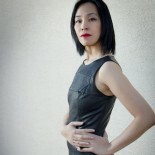 Prior to joining Steppenwolf, Amy was a member of the Remains Theatre for 15 years. As an actor, she has appeared in more than 30 productions at Steppenwolf and has appeared on Broadway inWho’s Afraid of Virginia Woolf? (Tony, Drama Desk nominations), August: Osage County (Tony, Drama Desk nominations) as well as One Flew Over the Cuckoo’s Nest. Film credits include Up in the Air, The Dilemma, Rookie of the Year, 8MM, Falling Down and the independent feature film Bluebird for Killer Films. Television: “Boss”, “Chicago Fire”, “Blue Bloods,” “Girls” and “Homeland”. She is a regular on “Chicago PD”. Guards at the Taj will feature scenic design by Timothy R. Mackabee, costume design by Bobby Frederick Tilley II, lighting design by David Weiner, original music and sound design by Rob Milburn & Michael Bodeen, special effects design by Jeremy Chernick and fight direction by J. David Brimmer. Guards at the Taj was awarded the 2015 Laurents/Hatcher Foundation Award, given annually for an unproduced, full-length play of social relevance by an emerging American playwright. 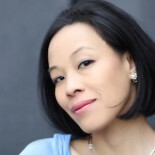 This entry was posted on April 23, 2015 by Lia Chang in Asian American Artists, Entertainment, New York, Theater and tagged 2010 Pulitzer Prize finalist, 2013 Steinberg Playwright Award, 2015 Laurents/Hatcher Foundation Award, Amy Morton, Animals Out of Paper, Arian Moayed, Atlantic Theater Company, Backstage Pass with Lia Chang, Bengal Tiger at the Baghdad Zoo, Describe the Night, Draft Day, Fly, Giovanna Sardelli, Gruesome Playground Injuries, Guards at the Taj, Huck and Holden, India, Ivan Reitman, Kevin Costner, Lia Chang, Nurse Jackie, Omar Metwally, Peter Pan, Rajiv Joseph, Scott Rothman, Steppenwolf Theatre Company, Taj Mahal, The Lake Effect, The Monster at the Door, The North Pool.